Jason Mather is a freelance musician. He lives in Greeley, Colorado with his wife, Heather, and his three dogs: Gizmo, Kaori, and Ellie Mae. This is an incredibly readable book. 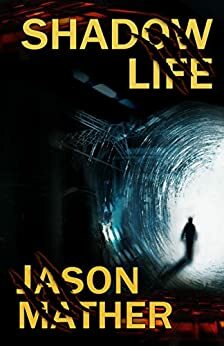 From the first line, I was taken in and absorbed by the story, which has just enough science fiction in it to be intriguing, but not so much that you feel bogged down by the technical details. The characters are interesting and well developed, and the settings are vivid and engrossing. It's one of those books you just can't put down. Must read! Mather's characters are well drawn and likable enough. Hans could use more background and a better sense of humor, and Illiyana more compassion. His action scenes are exciting and vivid. Sometimes the scenes within the sphere are difficult to follow, but that may be because we are dealing with a world that has no time or space and is thus hard to describe. However, I have seen other authors have success with such constructs. The whole book could use another copy edit, but the mistakes aren't egregious. I don't know that I'd read a sequel, but this was good escapism. I absolutely loved this book. I was captivated from the first sentence. The characters are believable and endearing. If you like science fiction and adventure this book is a must read. I loved it! I am not usually a science fiction fan but this was just enough sci-fi to make it interesting! Well written. The characters were well thought out and interesting is there a sequel or another book in the works? I really enjoyed this non-stop thrill_ride. The characters are interesting and well developed with unusual personalities. The story moved at a fast yet still comfortable pace with a very satisfying conclusion. Excellent read.